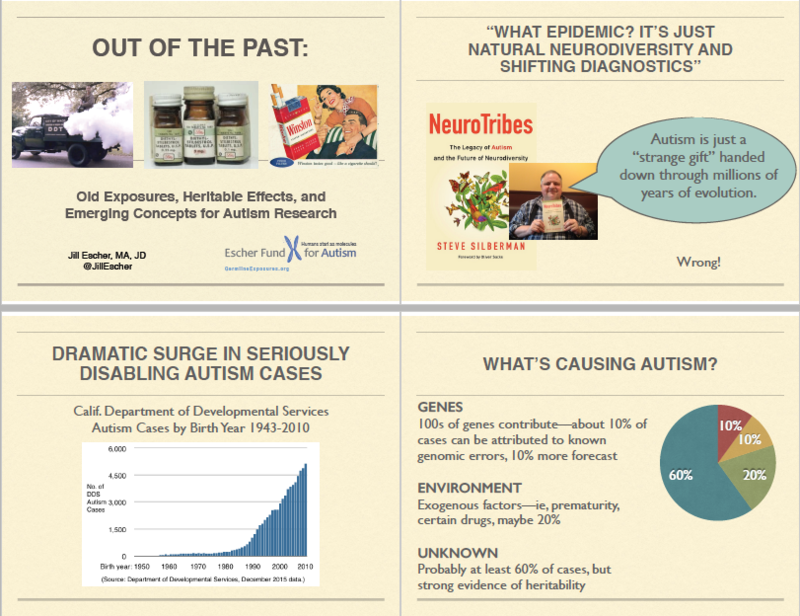 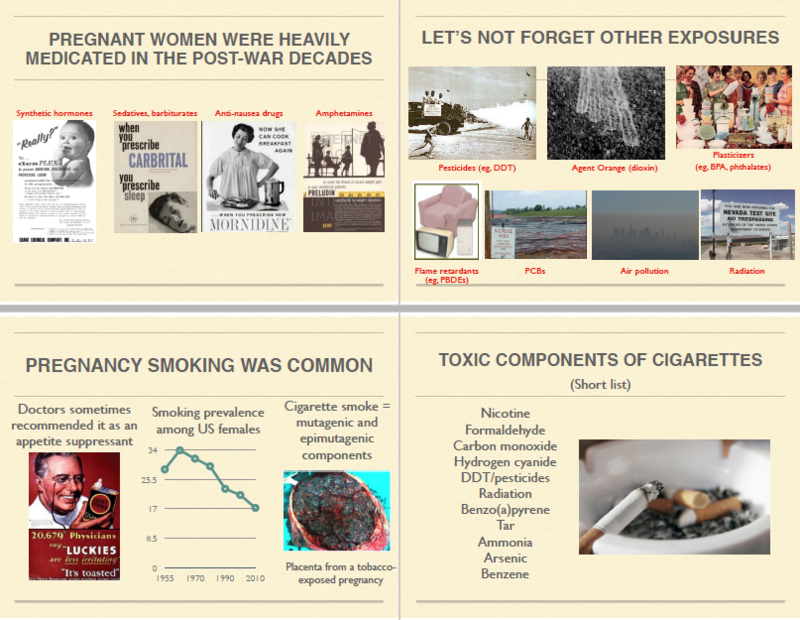 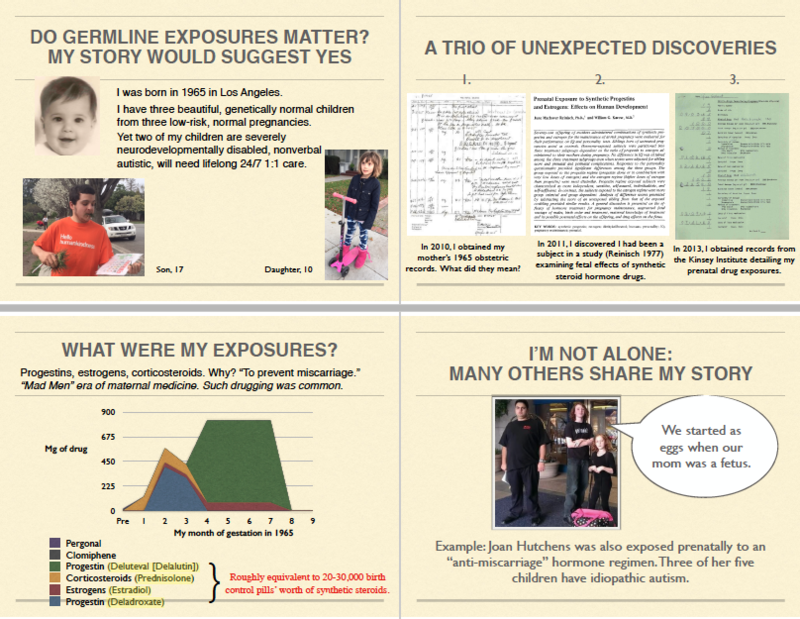 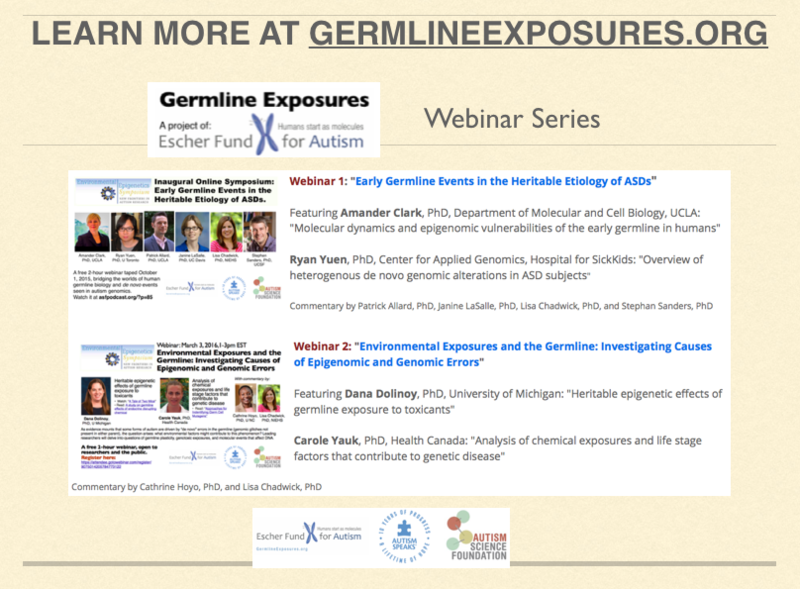 "Out of the Past: Old Exposures, Heritable Effects, and Emerging Concepts for Autism Research"
Presentation on the germline disruption hypothesis of autism, presented at Florida State University's Symposium on the Developing Mind, April 8, 2016. 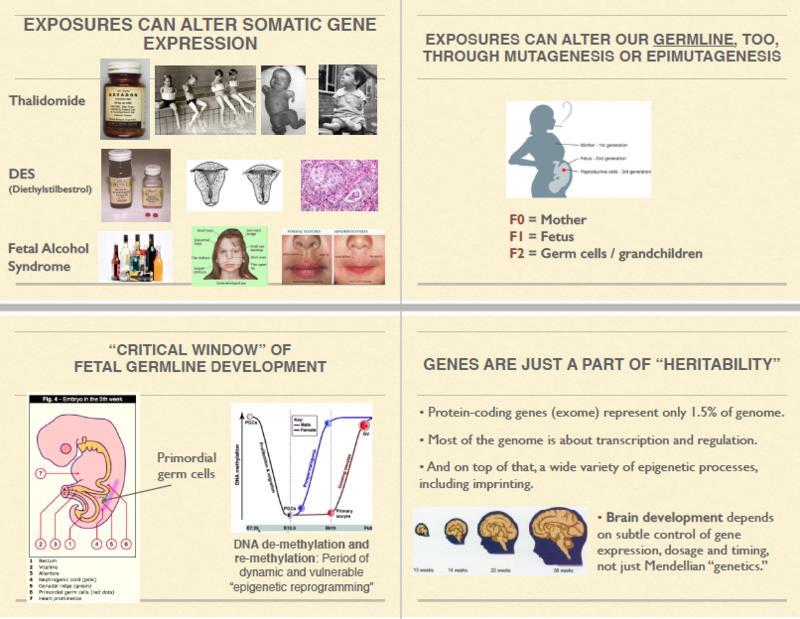 Many thanks to Professor Pradeep Bhide and his colleagues for extending the invitation for this keynote lecture. 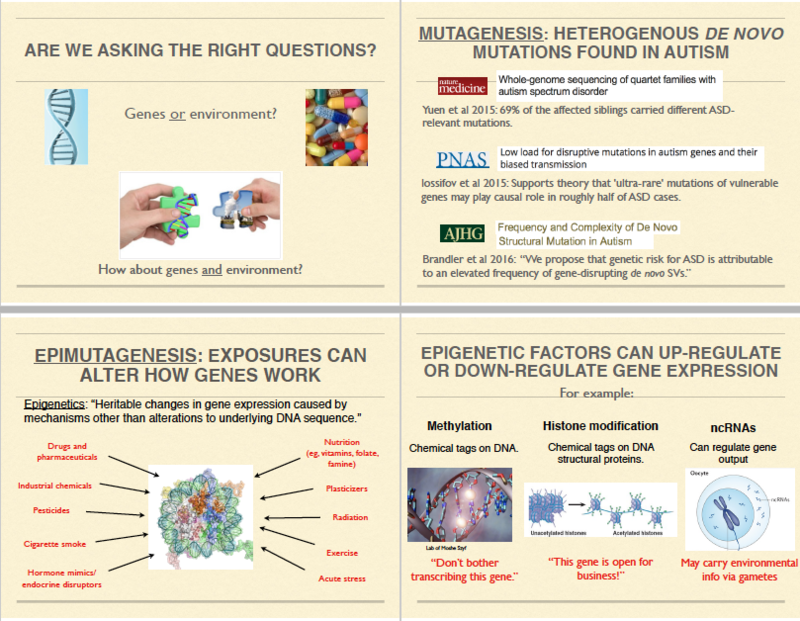 Slides are read left to right.﻿ Please direct any questions or comments to jill.escher@gmail.com. 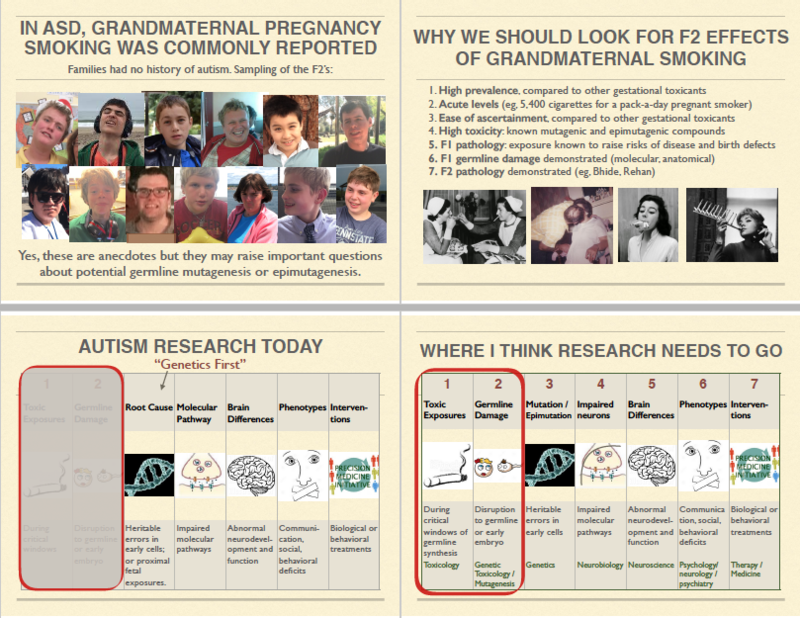 September 2013, Pittsburgh Post Gazette: Can Autism Be Triggered in Future Generations?